South Morang Dental was the very first dental practice to be established in the suburb of South Morang. 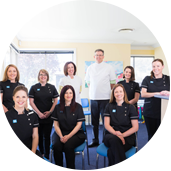 Practice owners Dr Phillip Swainsbury and Dr Renae Welsh established the practice in 2002, and committed to providing high-quality, but affordable, dental treatment to the residents of South Morang, Mill Park, Epping, Bundoora, Mernda, Whittlesea, Doreen, Yarrambat, and other surrounding areas. Their excellent reputation and high treatment standards have enabled their practice to grow from strength to strength, and patients now even attend from interstate and overseas, as they value the expertise and ethical care provided by Dr Phillip Swainsbury and Dr Renae Welsh. 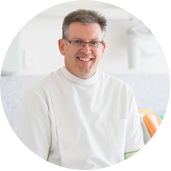 The main aim of South Morang Dental is to provide high-quality dentistry, in a caring and comfortable environment for the patient. We achieve this by having a wonderful team of staff members who are friendly, reliable, and well-trained. We use advanced technology, like digital radiography and intra-oral scanning, to ensure the patient receives the most efficient and up-to-date treatment possible. 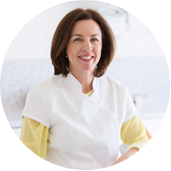 We listen to the needs and wants of our patients, and discuss with them the various options that are available for their treatment, as modern dentistry provides patients with treatment choices that can be customised to their individual situation. Above all, we make every effort to ensure that patients have a healthy mouth, and that they keep their teeth for as long as possible, ideally forever. The foundation of a great smile is healthy teeth and gums, and healthy teeth and gums are also an important factor in having optimal general health.